Herman 6 present crossover circus shows which tour all over Europe throughout the year. 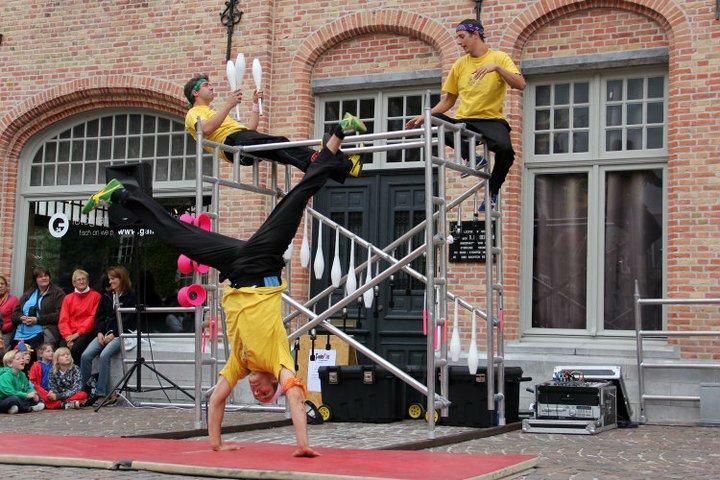 These shows provide a refreshing and energetic mix of juggling, acrobatics, dance, humour, and improvisation. 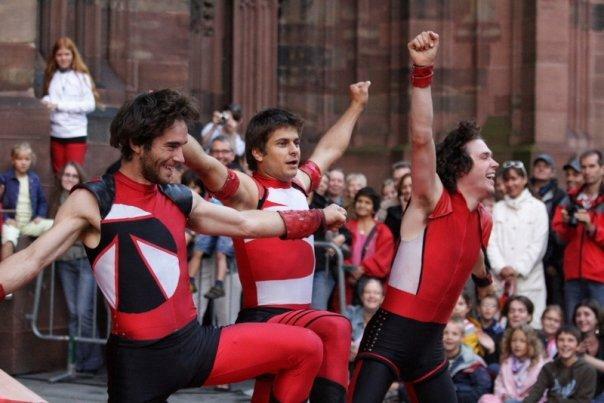 The company was formed in 2002 and since then they have played over a hundred shows annually in fourteen different countries. These are ‘feel good shows’ which can be played at all sorts of venues and events to all kinds of audiences and age groups. 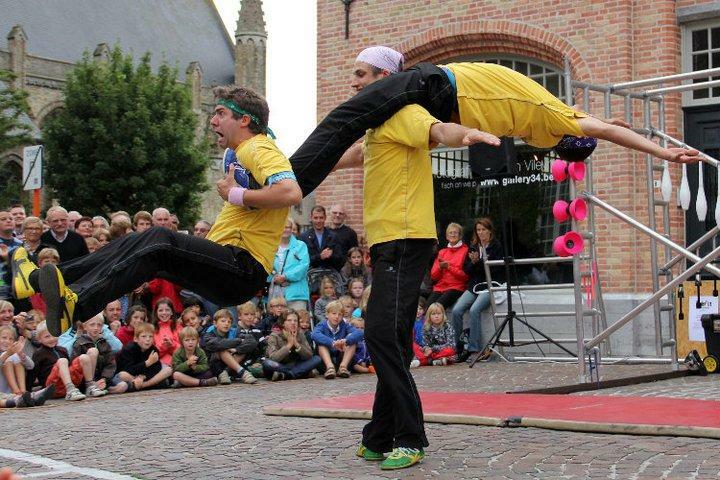 Herman 6 shows are great for all outdoor events and even corporate events. 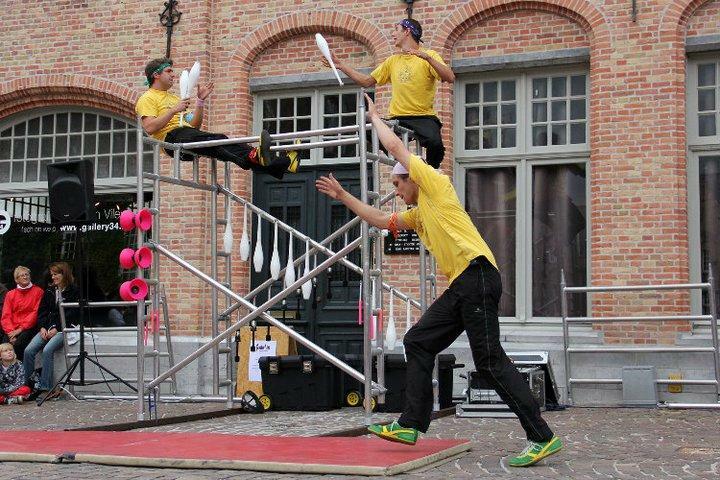 Three circus artists bring a spectacular street show that catches the attention with a “never seen before” combination of juggling stunts, maxitrampoline-acrobatics, street theatre and slapstick. Using the motto ‘the sky is the limit’, they fly and tumble through the air. This trio cannot live with or without one another. One moment they challenge each other by performing stunning performances and just a second later they harmoniously jump with joy. 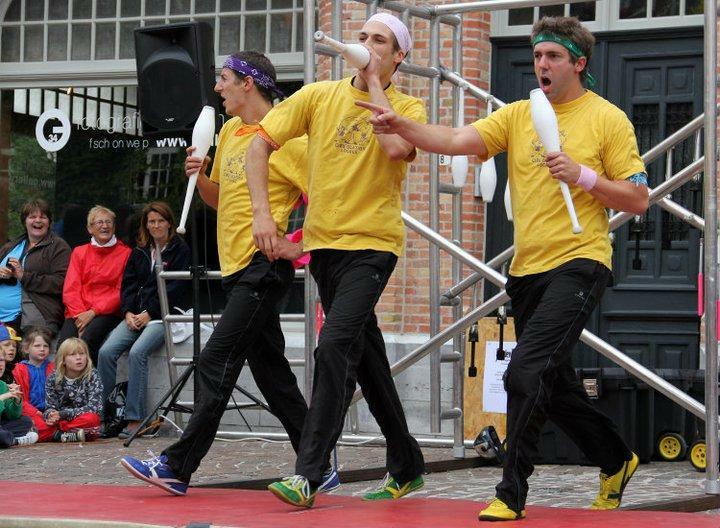 ‘Just Another Boyband?’ is a trio of jugglers who are presenting a tribute to the ‘boyband style’, or are they making a parody of it? 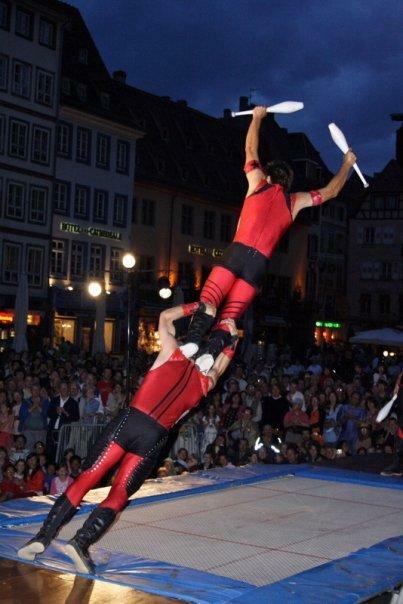 Impressive jugglers with clubs and diabolos of course, but what would you think of amusing dancing steps and a faultless playback? 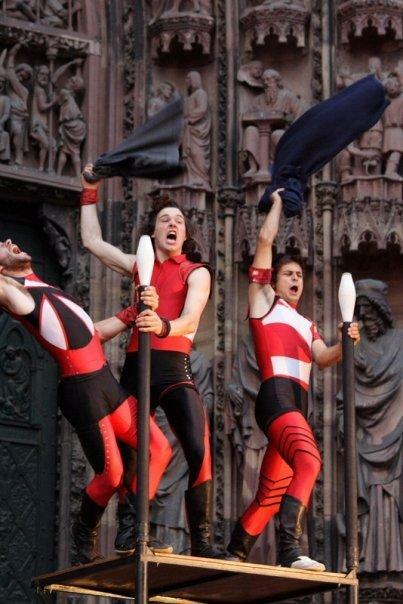 And, who knows, perhaps an enthusiastic audience will encourage these boys to strip off at the same time!? There will be screaming fans for sure! 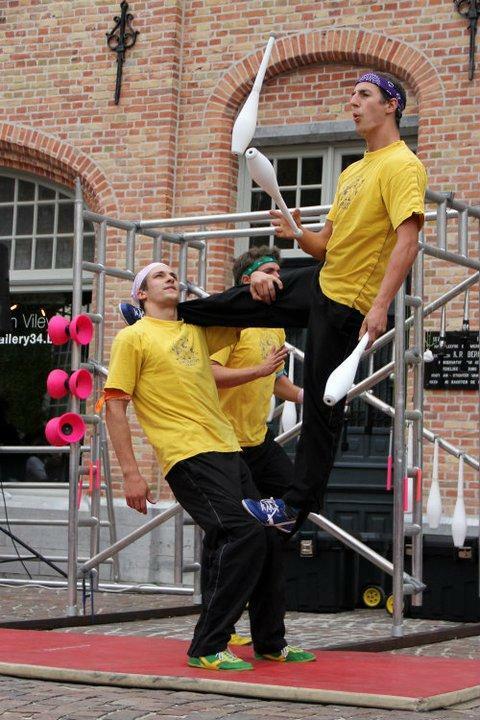 This show combines a humorous mix of juggling and acrobatics. The performance is enacted on, around and above an elevated scaffolding and is suitable for all ages. 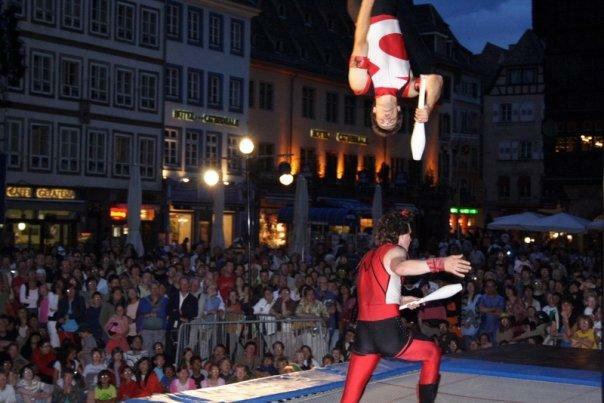 Herman 6 Juggling & Trampoline Show is available to perform in Belgium & Europe. 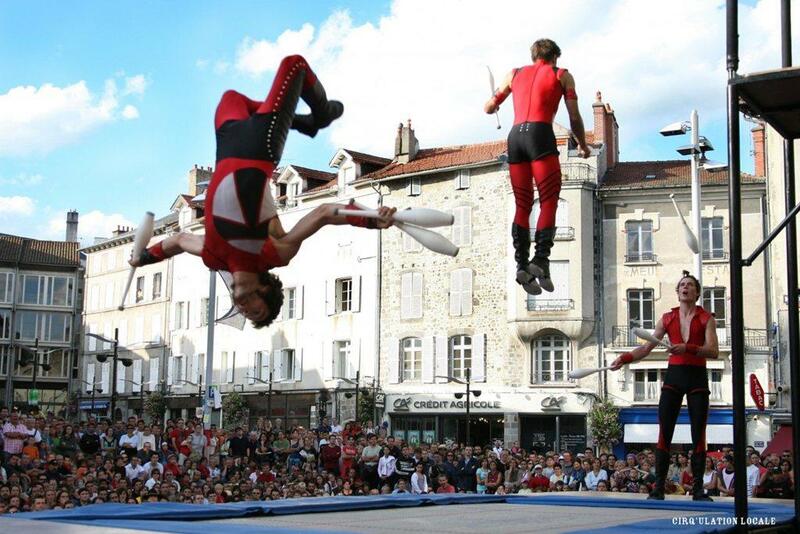 They are in constant search of the perfect mix of circus and other performing arts. 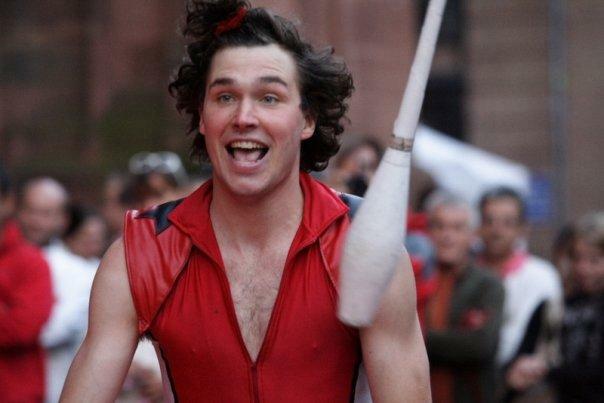 They express a powerful story using dance, acting, juggling, acrobatics and theatre. A performance overflowing with humour and surprises, leaving the audience filled with enthusiasm and energy. Thanks to the Herman 6 company for this excellent performance which makes you shake, laugh, marvel… Bravo for their prowess! 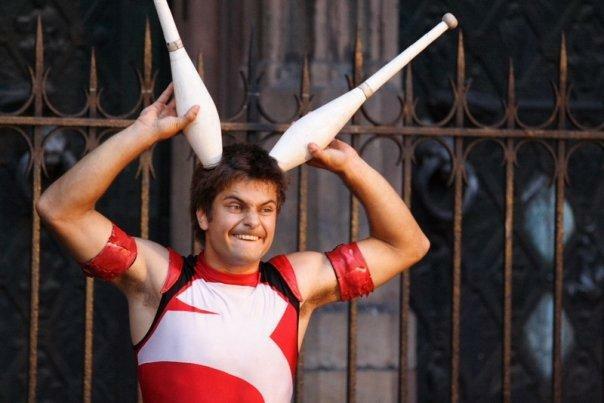 Jugglers, acrobats, clowns, and comedians: these show business professionals know how to do everything.